The trend of having smartwatches is developing rapidly. More and more companies are now making Android Wear smartwatches to attract consumers. Samsung has now also entered the race. The company is all set to get us surprised at Google I/O, two days far, by its new Android Smartwatch. Getting in to details of the smartwatch, the company will make use of Samsung chips. A Qualcomm processor will also be there to power the smartwatch. As told in start, the smartwatch will run on Android Wear platform. It is not confirmed yet which version will be used. It is not for the first time that Samsung has come up with a wearable. Samsung has been making Android gears for years now. Samsung Galaxy Gear 2 and Neo Gear was recently released. The company is working currently on two variants of the wearable. It’s not confirmed which model will be coming at the event. There are no words on the design of Samsung smartwatch. 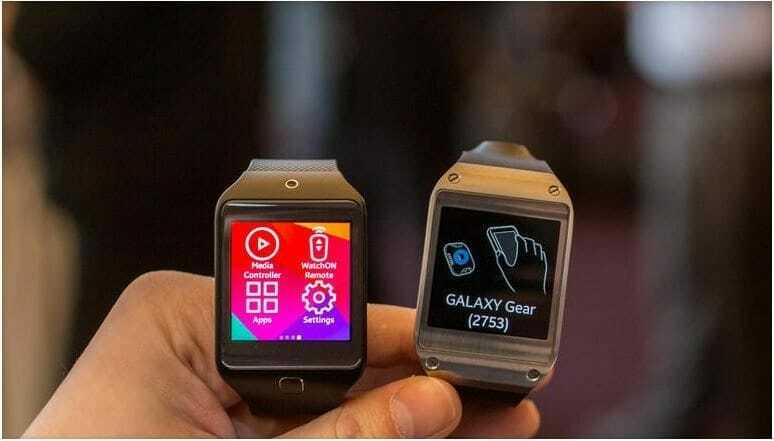 It might resemble Galaxy Gear 2. However, we will find out the actual design and availability date along with the price at Google IO conference. Some detailed words of hardware specs will also be given. So let’s wait for the event. Along with Samsung, LG will also bring its G Watch at the event. Google will also be unveiling Android 4.5 at the event. So, don’t miss to catch the site for all hot stories of Google I/O 2014! Which new entrants’ smartwatch will you be choosing? Samsung, Google, Microsoft or LG?